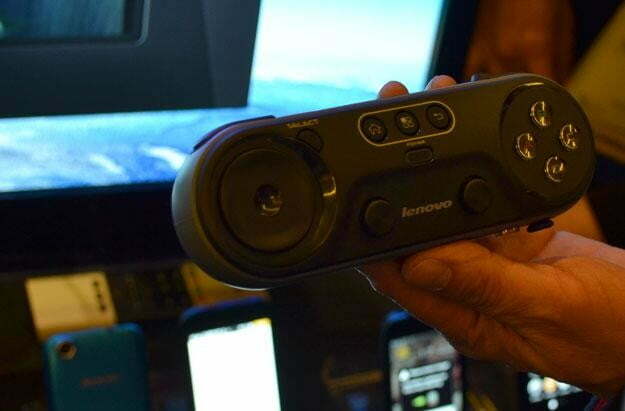 Most exhibitor stations here at CES Unveiled are pretty busy, but none more so than Lenovo’s. While the company’s Ultrabooks and Android smart phones are attracting attention, it’s the 55-inch HDTV running on Android 4 (Ice Cream Sandwich) that has the shutterbugs clamoring for that money shot. What’s so sweet about this TV? Almost everything. At first glance, it is one of the most user-friendly TV interfaces we’ve seen. The user starts at a home screen where content options are very clearly laid out. Navigating is as simple (and familiar, these days) as a swipe on the TV remote’s touch-pad. Content options are plentiful. The TV accepts streaming video from computers, smartphones and tablets and can access up to 200 GBs of cloud storage hosted by Lenovo. Streaming video is not this TV’s only trick. We caught one of Lenovo’s demonstrators showing off motion-based video games with a remote control wand from well off-axis. 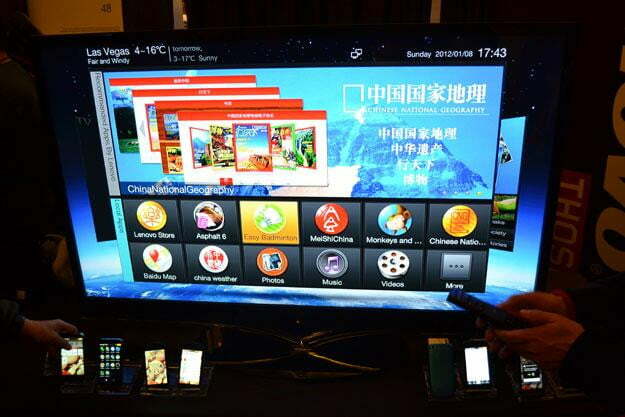 When asked when the TV would be available in the states, Lenovo’s representative hesitated. Apparently the model we witnessed in action is to be distributed only in China this year. Whether the next generation of this TV will make its way to the US is up in the air. For now, you must be content to salivate.